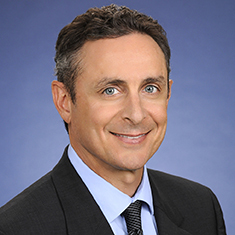 Zia F. Modabber is the managing partner of the Los Angeles offices and is co-chair of Katten's Los Angeles Litigation practice. He handles a wide array of business and entertainment disputes, with particular experience and focus on the music business and clients with significant public profiles. For more than two decades, Zia has been a sought after litigator for copyright, trademark, right of publicity, First Amendment, defamation, musical recording and publishing, partnership (including band disputes), artist-manager relations, trade secrets, idea submission, and labor and employment matters. Zia's extensive body of work, track record of success, and reputation for maintaining high level of integrity, discretion, and sensitivity have made him the attorney of choice for Michael Jackson and now his Estate, Trent Reznor/Nine Inch Nails, Stevie Wonder, Lance Armstrong, Aerosmith, Slash/Guns N' Roses, Jeff Lynne/Electric Light Orchestra, Enrique Iglesias, Ben Silverman, Sony Music and many others. Zia's reputation for integrity is firmly rooted in helping clients effectively bridge the uncomfortable space between legal crisis and "back to normal," while operating with the level of discretion that high profile matters and clients require. Zia also practices from a perspective sensitive to the whole client, addressing immediate issues in the context of clients' broader professional needs. Shown below is a selection of Zia’s engagements. Representation of Trent Reznor, the founder, owner and creator of Nine Inch Nails and How to Destroy Angels in a federal lawsuit against a former personal manager over the return of the NIN trademarks and related assets, and the ownership and control of numerous related companies and businesses. Obtained a multimillion-dollar verdict from a New York jury, as well as the return of all Nine Inch Nails trademarks and intellectual property assets. Co-lead counsel in the representation of the Estate of Michael Jackson regarding a royalty dispute with record producer Quincy Jones. Representation of Lance Armstrong in two federal class action lawsuits, one over the sale of his two biographies, and the other over his endorsement of FRS nutritional and performance products. Representation of the former spouse of an R&B legend in a case regarding a critically emerging provision of the 1976 Copyright Act that permits artists to recover copyrights they had previously granted to third-party publishers. The musician had filed termination notices and asked a federal court to determine that, when he recovered those copyrights, he would do so free of the 50% interest owned by his former spouse as part of a divorce settlement. Co-lead counsel in the representation of the Estate of Michael Jackson in a dispute with Jackson’s former manager, Tohme Tohme. Tohme claims he was not paid significant management commissions. Representation of the Estate of Michael Jackson in ongoing work focused primarily on the protection of the Estate's intellectual property assets, including copyrights, trademarks, rights of publicity and other assets. Representation of several defendants in an idea submission case over the development of a television program. Obtained summary judgment. Scottish American Media, LLC and Maurice Fraser v. Reveille, LLC, Ben Silverman, et al.